Mercedes longed to grow closer to God but felt empty even after attending three church services every Sunday. Belize has the lowest population density in Central America, with only 39 people per square mile, or 15 people per square kilometer. The Belize Rainforest is home to more than 500 species of orchid. Belize’s black howler monkeys are one of the top 10 loudest animals in the world. Cashew trees are found in the forests in Belize. Cashews are a seed that grows out of a fruit called a cashew apple. The cashew apple is edible, but the skin around the cashew itself is toxic and must be removed before eating. To Sabbath School teachers: This story is for Sabbath, Feb. 3. Click here for photos to share while telling the mission story. Mercedes Ruiz was a busy woman. Six days a week, she worked as a chef for the Radisson hotel and prepared meals for first-class passengers on American Airlines. On Sundays, she went to church—and not just one church but three different churches. Mercedes, a native Mayan living in the Central American country of Belize, longed to grow closer to God. But she felt empty inside even after the three church services. She turned to the Bible and started to study Daniel. Reaching chapter 9, she noticed that Daniel fasted and prayed as a servant of God. She fasted and prayed. Every day, she repeated the lengthy prayer of Daniel in Daniel 9, which concludes with the plea, “O Lord, hear! O Lord, forgive! O Lord, listen and act! Do not delay for Your own sake, my God, for Your city and Your people are called by Your name” (Daniel 9:19; NKJV). One Sunday afternoon after the triple church services, Mercedes saw several flyers scattered on the sidewalk. She picked one up and saw that it advertised a Seventh-day Adventist evangelistic series that opened that very night. She went to the meeting—and didn’t miss a night afterward. On Sabbath, she took a vacation day from work and went forward when the preacher asked who wished to be baptized. Her supervisor was upset when she announced on Monday that she would no longer work on Saturdays. Without the supervisor’s support, Mercedes decided that she had to resign. She wrote a resignation letter and handed it to the company director, who was above her supervisor. The director read the letter, crumbled it up into a wad, and threw it into the trash. The supervisor was furious upon learning that Mercedes no longer had to work on Saturdays. She ordered Mercedes to do extra work and gave her tight deadlines to complete the tasks. Mercedes cried out to God to give her strength. One day, Mercedes arrived at work to learn that the supervisor was dead. The supervisor, who was married with children, had gone to the seashore with another man the previous evening. Their romantic rendezvous had been shattered by armed robbers fleeing a crime scene. In making their getaway, the robbers had shot dead the couple and stolen their car. Peace returned to Mercedes’ workplace. “I enjoyed every Sabbath and my workdays as well,” she said. But that was just the beginning of Mercedes’ story. A few years later, Mercedes found herself alone after her husband died and her adult children moved out. She recommitted her life to Jesus and asked the pastor for a Bible study. 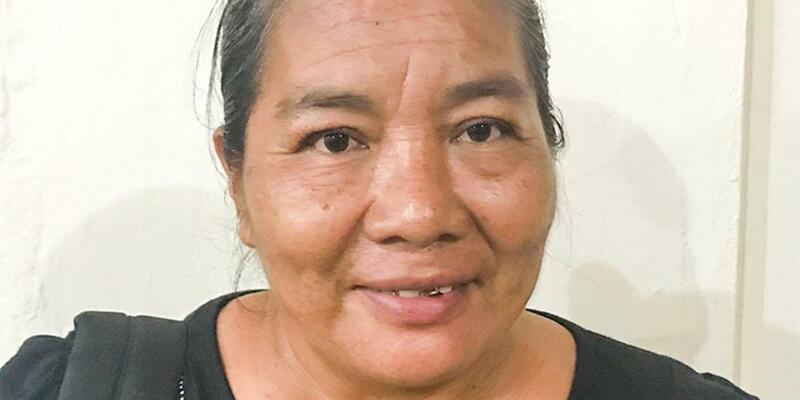 When the pastor promised to stop by her home on a Friday evening, Mercedes thought, “If this Bible study is good enough for me, I want to share it with someone else.” So, she invited her neighbors to attend. She raised a tent in her front yard, placed chairs inside, and prepared delicious refreshments. She set up a table for the pastor at the front of the tent. The pastor was surprised to see a crowd of people waiting for him on Friday evening. When the Bible study ended, the pastor announced that another Bible study would be held the next Friday night. It was Mercedes turned to be surprised. She thought that the Bible study was only for one night. The crowd grew with each subsequent Bible study. There was no Adventist church in the town, so Mercedes turned her home into a house-church where her neighbors could worship on Sabbath. Sixteen people were baptized through the Bible studies. Mercedes helped plant the town’s first standalone Adventist church a year later.